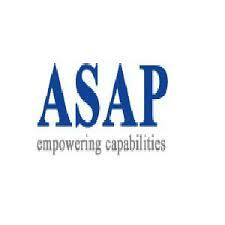 Jobs at ASAP Info Systems Pvt Ltd - Jobs Vibhaga - Dedicated job portal for unemployed job seekers. ASAP Info Systems Pvt. Ltd. is a 17-year-old staffing company. ASAP offers specialized manpower services to the leading CMM Level 5 companies in India. ASAP focuses on helping the customer in meeting very critical EAS resource requirement and offers a unique business opportunity to the partner / customers to save cost and hassle of getting into the complexity of sourcing and training. ASAP is focused to offer the ready to use resources in most of the critical EAS areas like SAP, Seibel, PeopleSoft, Oracle Applications, Business Intelligence, and MS Dynamics.